A magical snow. 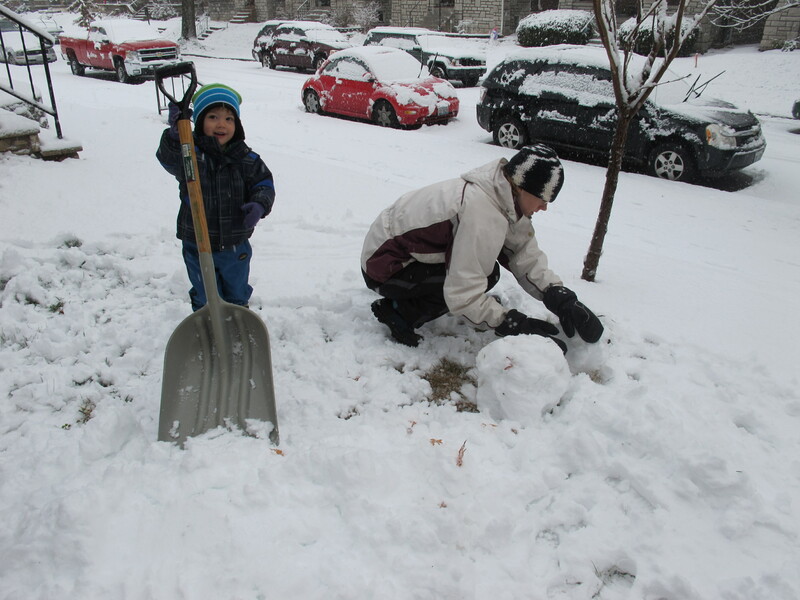 After breakfast, we bundled up and headed outside . . .
. . . to shovel and make a snowman. Our shoveling efforts paid off. The people on our side of the block (the side that’s in shadow all day this time of year, with no sun to aid melting) who didn’t shovel had snow- and ice-covered sidewalks as late as yesterday morning, but our walk stayed clear. 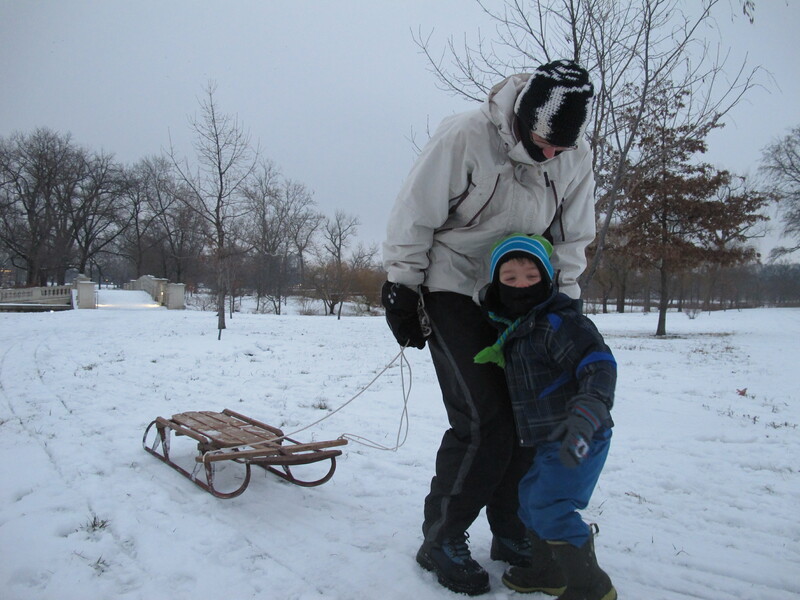 Gabriel’s first time sledding on Art Hill was a success. The three of us managed to pile onto our old school runner sled, and Matthew safely steered us away from the hay bales and water at the bottom of the hill. As I mentioned last week, they don’t clear the side streets, and this snow stuck around for quite awhile, even with somewhat warmer temps, melting a bit during the day, then freezing back into ice overnight. 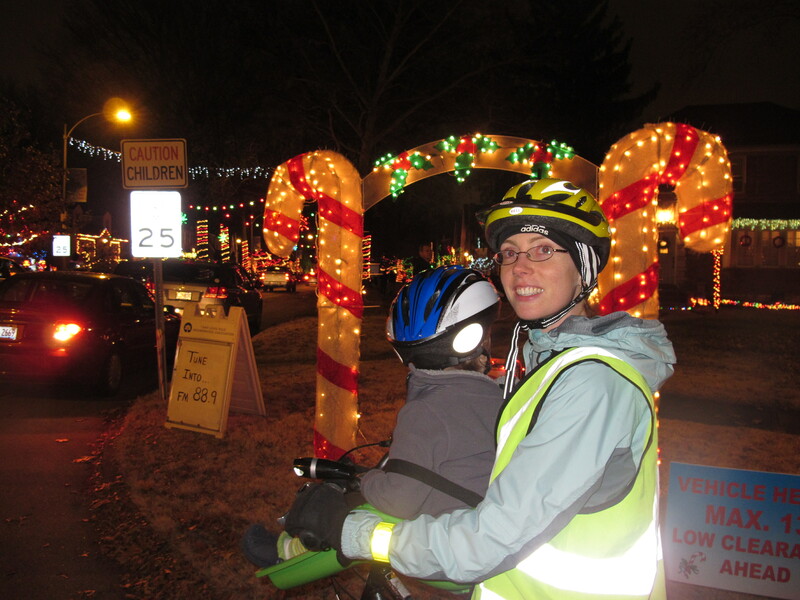 I waited all week for the streets to clear so we could bike down “Candy Cane Lane,” a street not to far from us where all of the residents on the block go CRAZY with Christmas lights and decorations. It’s a bit of a Christmas destination, and I knew the best way to enjoy it would be on bike (or foot). All of the stars finally aligned last night: streets almost 100% clear, fifty degree temps even after the sun was down, and time to make it happen. We chose a route that had a number of nicely lit blocks, so really the whole ride was one big light show. 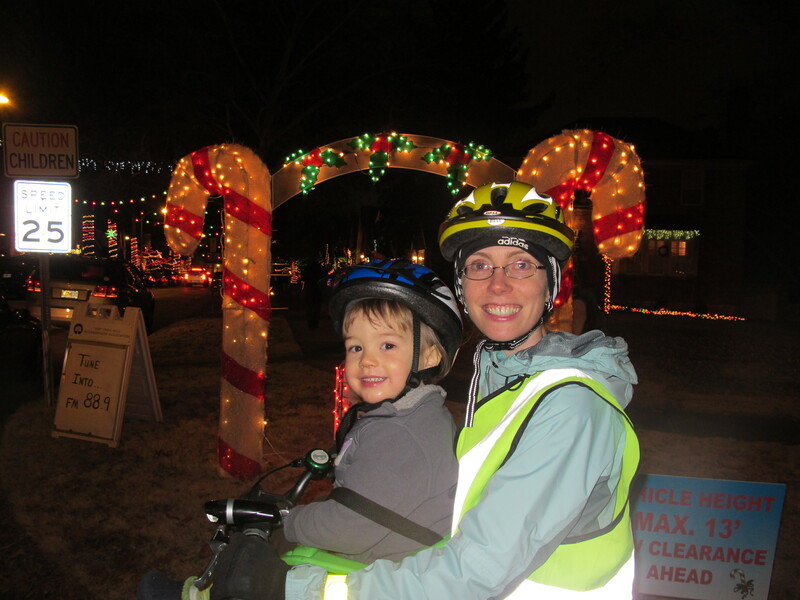 We snapped a few pictures (which of course don’t do it justice, though they show off my blinding reflective vest) and joined the queue of slowly moving vehicles on Candy Cane Lane. I felt like I was doing a “slow bicycle race” for most of the block. 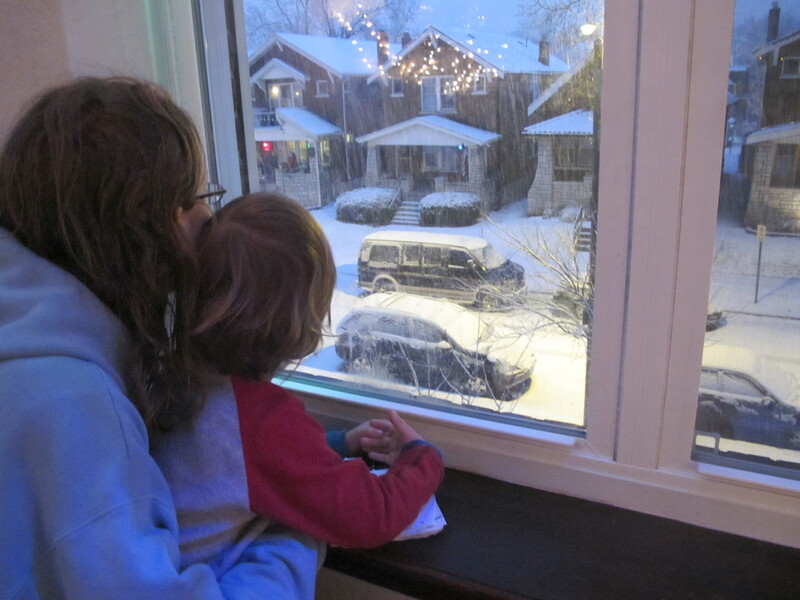 I’m so glad we were able to make this happen (we snuck it in just before it gets cold again), and it’s certainly a Christmas tradition I hope to continue in future years.